I think I need Yosh Stargazer or at least a sample to try! Thanks for the review and the suggestions, Jessica! Stargazer is my favorite of all the lilies! 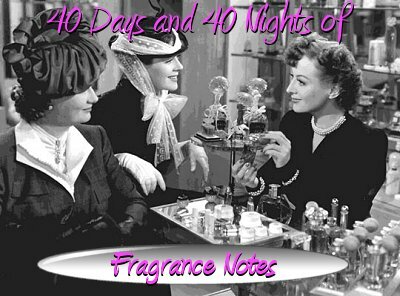 Jessica, Thanks so much for doing this celebration of fragrance,I so looked forward to what you would review each day. A little sad that it is the end,like finishing a great book. Your work and time is much appreciated. I love Asian lilies,their spicy scent really transports me to another place. I am definitely going to sample Yosh Stargazer. I loved this series! What about Anais Anais by Cacharel? Patti, Yosh's Stargazer has a lovely spicy note! Lovely stuff. The new EDPs are good to try. Natalie, I'm sorry to see the end of the series, too... it was a stroke of genius on Annie's part! Maitreyi, I need to revsit Anais Anais! One of my high-school friends used to wear it. It was so pretty on her. I enjoyed all the posts on the 40 Days and Nights of Fragrance Notes. Some of these Perfume Houses should be sending you free bottles and samples of their best stuff, because you made me begin to buy perfumes again. I had stopped after buying what I thought was a bad bottle of Miss Dior (it was re-formulated? What idiocy!) years ago. My L'Air du Temps has been a disappointment to me for the last decade or so. But thanks to this Perfume Fest, I have been reminded that there are other fish in the seas and there are enticing fumes in other bottles. I am back to sniffing and smelling and enjoying myself in drugstores and department stores and cosmetic stores. Thanks to you and all your Perfume Posters for the encouragement. 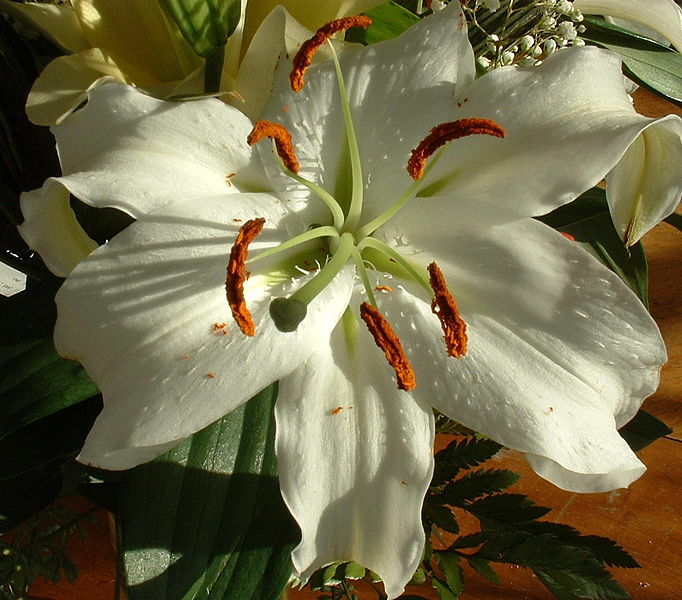 Yes, Anais Anais also, with its pure aroma of the white Madonna lily, one of my favorites. 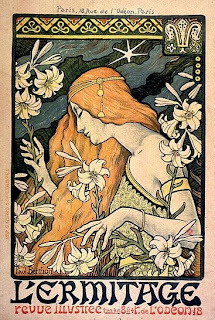 For yet another wonderful lily fragrance, try DSH Perfumes new 1,000 Lilies (Susinon), one of her Secrets of Egypt collection. This summer it will be out in EDP, and I can't recommend it highly enough for lily lovers! A newfound lily favorite of mine is Ineke's Gilded Lily. Spicy and a bit oriental, and so pretty. I always liked Donna Karan Gold , but that one never quite seemed to catch on. So enjoyed all your 40 days pieces . Happy Easter.